The Greens NSW have a vision for Sydney that is more than just high rise tower blocks and economic activity. We see the 2013 Sydney Metropolitan Strategy as a chance to move towards a liveable, low carbon, prosperous and sustainable city that is the envy of the world not just for its beautiful natural setting but also for the built environment and economic and social structures that its residents have created. Unfortunately the Government’s Draft Metropolitan Strategy for Sydney will not deliver this. 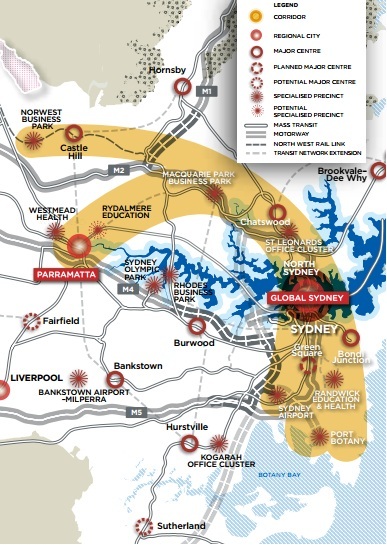 The key focus identified for the Metropolitan Strategy for Sydney is achieving growth. It should be noted that with increasing populations in NSW, growth is something that will be achieved regardless of what strategy is adopted; the key is to ensure that such growth is ecologically sustainable, creates the kinds of communities that promote health and community interaction, are well supported by infrastructure including public transport and allow for the creation of jobs. There are a number of principles that should be considered in any growth plans that are not adequately canvassed in the Sydney Metropolitan Strategy. These include: habitat protection, food security, the maintenance and provision of wildlife corridors and the legitimate community interest in retaining the existing character and charm of their localities. These appear to have been deprioritised compared to the focus on identifying for developers where more houses can be built, and providing some minimal associated infrastructure planning. Submissions we have made to other reviews are available on this website here.